How To Create A Rental Agreement In Manipur? Manipur is a North-Eastern state in India which borders with Myanmar in the east. It has been a state long connecting the Indian subcontinent to Southeast Asia, enabling migration of people, culture, and traditions. Despite having an agrarian economy, the state has a huge potential of generating 2000 megawatts of hydroelectricity and has outlandish landscapes, hence drawing investors, and increasing business and tourism in the state. As for visitors and business person along with others planning to move to Manipur, and also for the residents of the state, who would be looking to rent any premises, it is important to know how to create a Rental Agreement in Manipur. Get yourself a draft of rental agreement. You can use our customisable rent agreement form which can be accessed by clicking the button at the bottom of this page. Include the details of the landlord, tenant, property, and things like rent, security deposit, advance payment, furniture, if any, etc. Print the draft on a stamp paper (make sure you pay stamp duty levied on the agreement). Get it signed by the owner, the tenant and two witnesses. It is very important to pay tax to the government while you are creating legal agreements. The tax in Manipur is paid by purchasing stamps for which you need to pay 4% of the total rent as stamp duty and registering is a must which will cost you 3% of the total rent as registration charge. Make sure you do not forget to make these payments as unregistered documents might not be accepted as primary legal evidence and the stamp duty might get charged at 10%. A rental agreement is a contract between a landlord and a tenant whereby the tenant is given the right to occupy the landlord’s residential or commercial premises. A harmonious relation between a tenant and the landlord is important as they have to agree on issues legally. A rental agreement will help you legally address your rights and duties on a property. Depending on the purpose of the rent, there are two types of rent agreements people do. Residential Agreement – It is used for residential purposes and generally, a 11-month lease agreement is signed. At the end of the term or after 11 months of the actual agreement, both tenant and landlord can renew the agreement if they want to. There is a longer term Rental Agreement too, called long-term lease. It is a contract signed in order to rent a property for more than five years. Long-term leases are also generally used for residential purposes to take a house on a lease but there are commercial long-term leases too. Commercial Lease – A commercial lease is a contract between a landlord and business for renting of a property. As commercial lease involves large sums of money, most businesses are drawn to rent a property because of less capital requirement. Rental Term – The tenure of tenancy is a major requirement for keeping the agreement to an effect as the tenure of agreements might vary depending upon the type of rent (landlords often opt for a 11-month residential agreement to avoid rental control laws). Think wisely before accepting the term. Details Of The Occupants – A rental agreement should clearly specify the name of the occupants who have signed the agreement. This gives the landlord the right to determine who and how many of them live in the property. Rent And Deposit Fees – The monthly rent and the total deposit fees paid by the tenant are to be included (total deposit is the deposit you pay for security and various purpose). Pets – The landlord must be clear in the agreement whether he would allow pets or not. A tenant can request the owner to include it or a landlord can restrict if he has any problems regarding it. Regulations – Certain regulations can be included in an agreement for the tenant. For example, one can include the charges of delaying the payment of rent. It can also be implied for overstay (staying even after the contract is over) and property damage. Restrictions – To avoid trouble one can include clauses in an agreement that will prohibit a tenant of excessive noise and other illegal activities. Limits on the business type and other rules can also be considered. Responsibility – This includes the mutual responsibility of the tenant and the owner like maintaining a clean environment, payment for damages etc. Note (for tenants) – Before you sign the agreement make sure you read it carefully and understand it as your rights usually depend on what is written in the agreement. 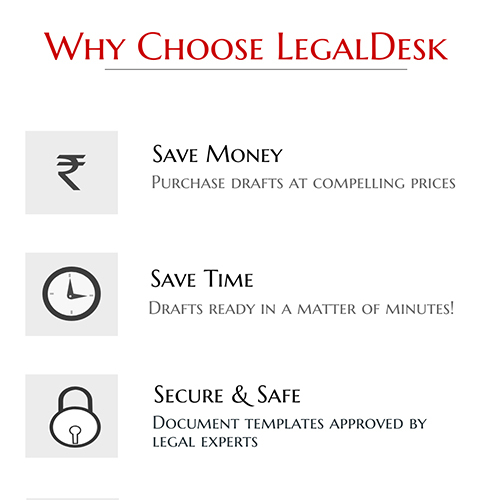 Drafting a legal document might be tedious as the government procedures are complicated and difficult to understand. But, you need not worry about it as we can easily let you access and draft legal documents like Will, Power of Attorney etc. online along with the Rental Agreement. We can let you create a Rental Agreement in Manipur from your home. You simply need to fill in the details and get it printed on stamp paper of requisite value. There are 0 comments on "Create A Rental Agreement In Manipur".